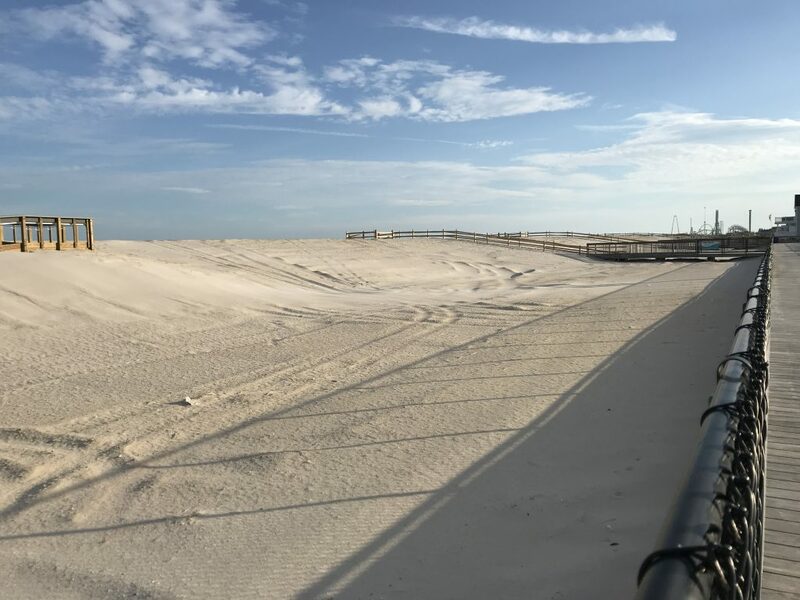 Many Shore residents and homeowners have wondered how the island’s newly-replenished beaches would handle a nor’easter – would the sand stick around or be washed out to sea? 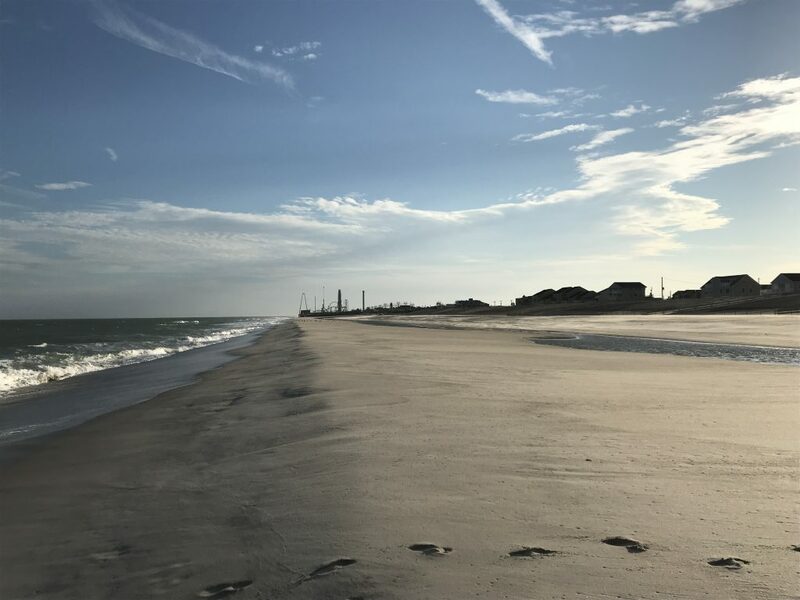 Nearly a week after the season’s first coastal storm, the tide has receded, producing a good representation of how the area fared. While the sand has been pumped onshore in a large part of Ortley Beach, the project has yet to be completed. 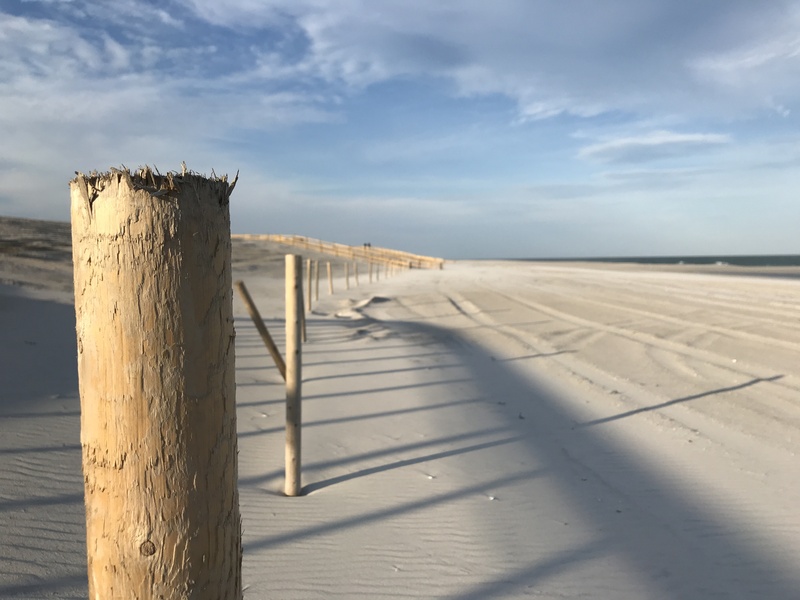 And even in areas that have received expanded beaches and wide dunes, the dunes themselves are not yet anchored down by vegetation, the key to shoring up the barrier that protects in the integrity of the island. 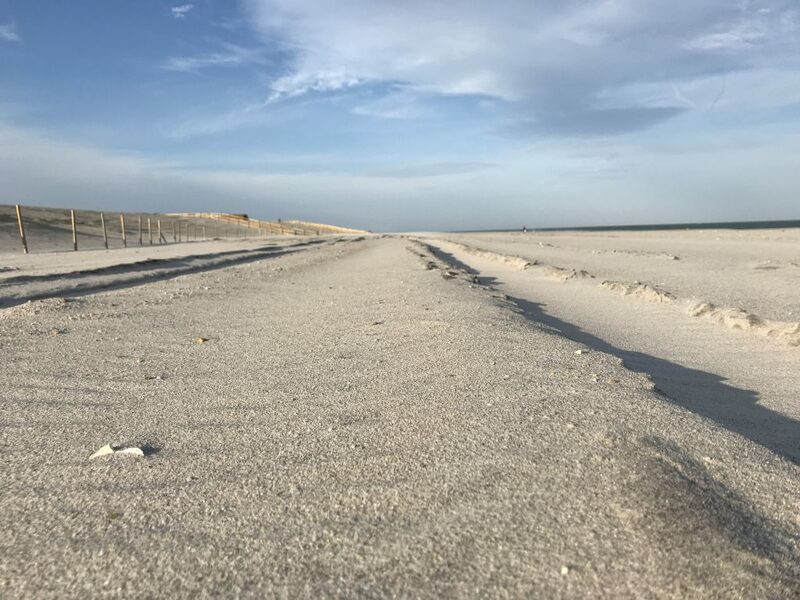 A look north and south of Fielder Avenue showed some debris and bit of erosion near the water, as well as some leftover tide pools that formed during the storm. 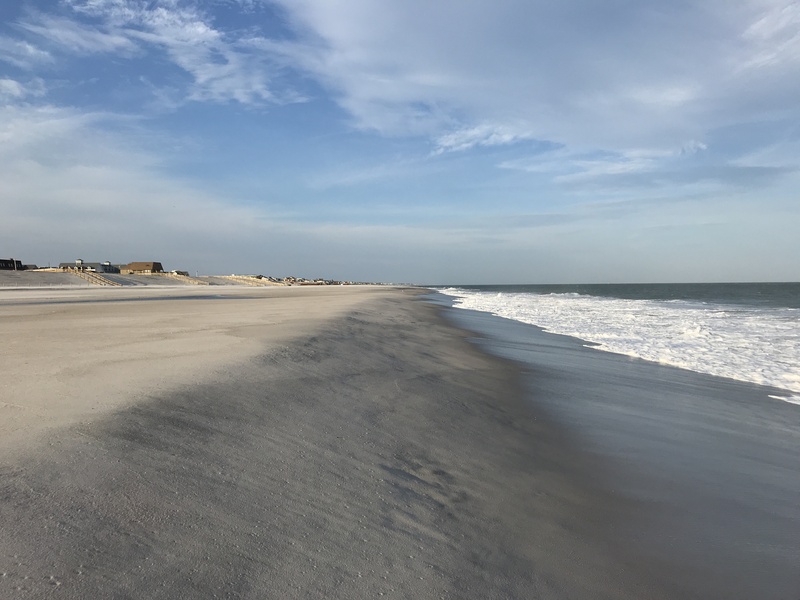 But overall, the beaches maintained their width and shape. 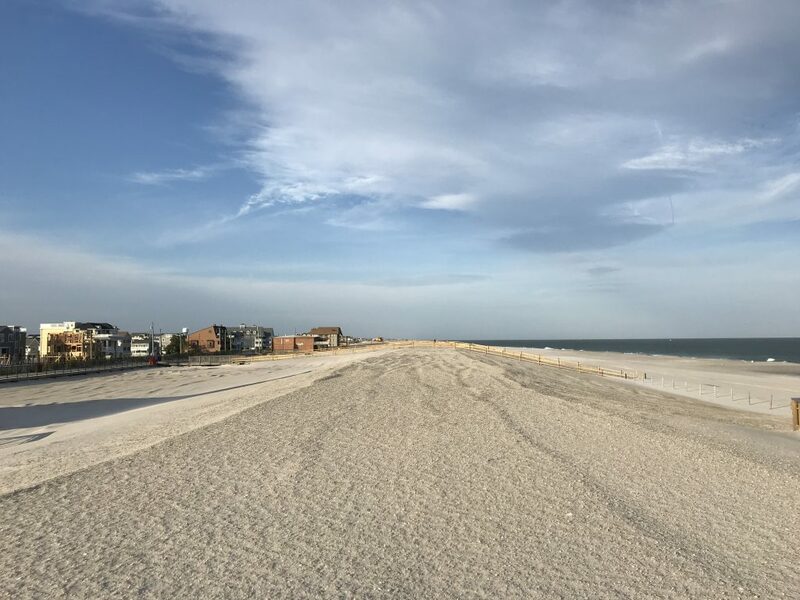 During presentations given by the state Department of Environmental Protection and U.S. Army Corps of Engineers, officials have said the berm of the beach – the area in front of the dunes where we all set up our beach chairs – will find a natural balance and be reduced in size over time. 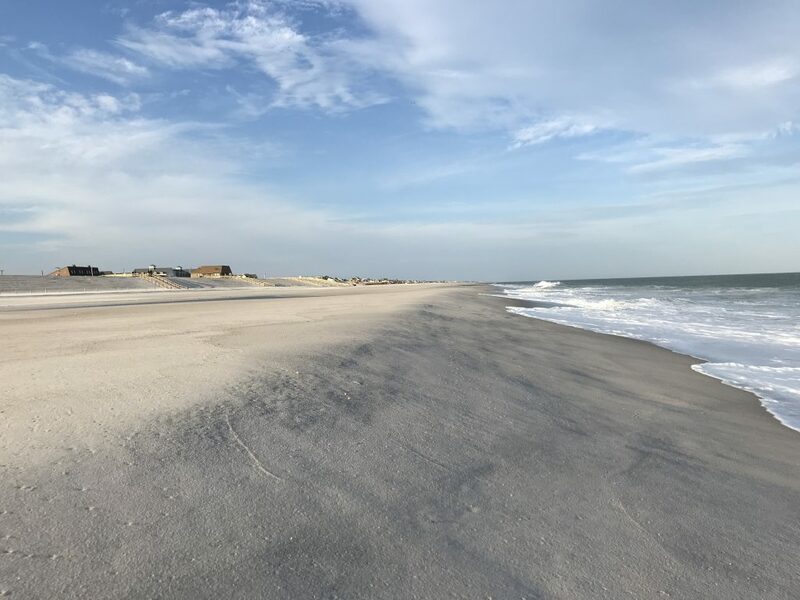 But the engineered dunes will remain intact and the sand that is lost won’t go far. 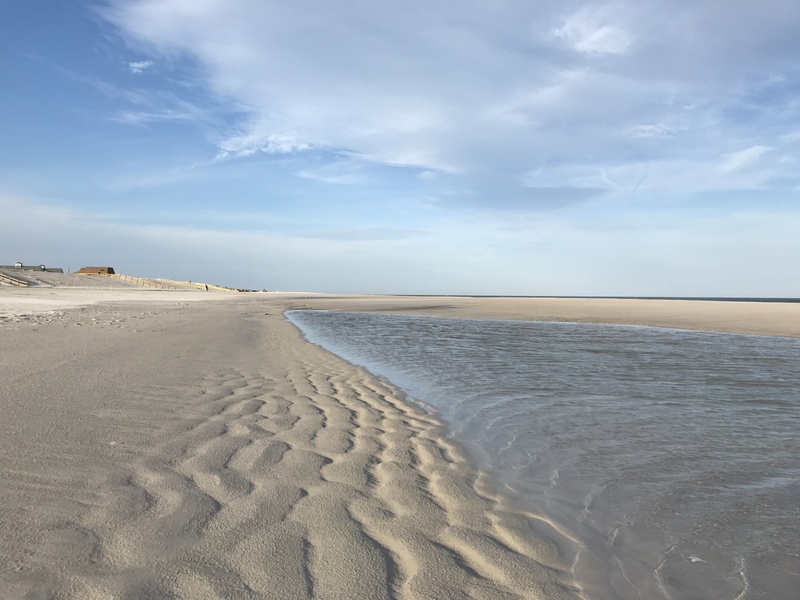 Indeed, one of the goals of the project is to have sand form an invisible bar slightly offshore from the beach which will absorb wave energy and weaken the flow of water on the beachfront. 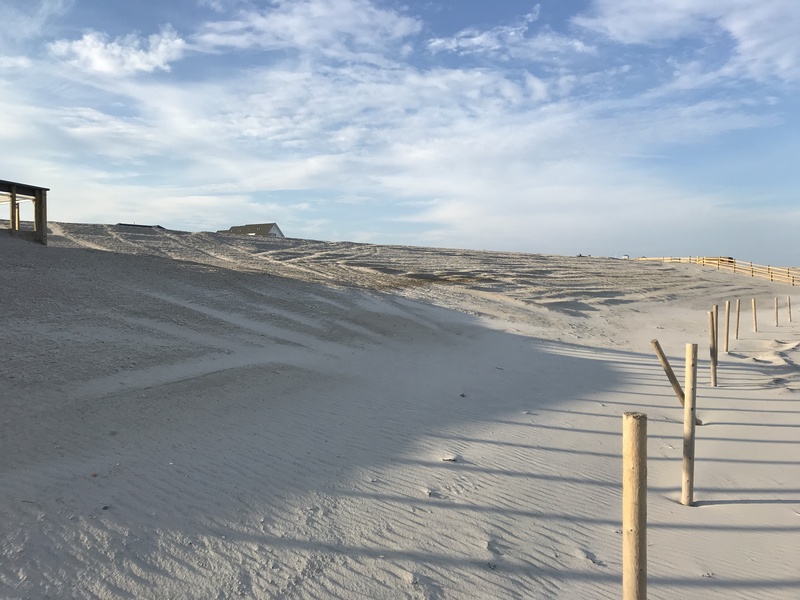 The overall Ortley Beach portion of the island-wide replenishment project is on hold. The pipeline dredge E.W. Ellefsen is currently on standby awaiting float hose to be installed before resuming work, according to the Army Corps. 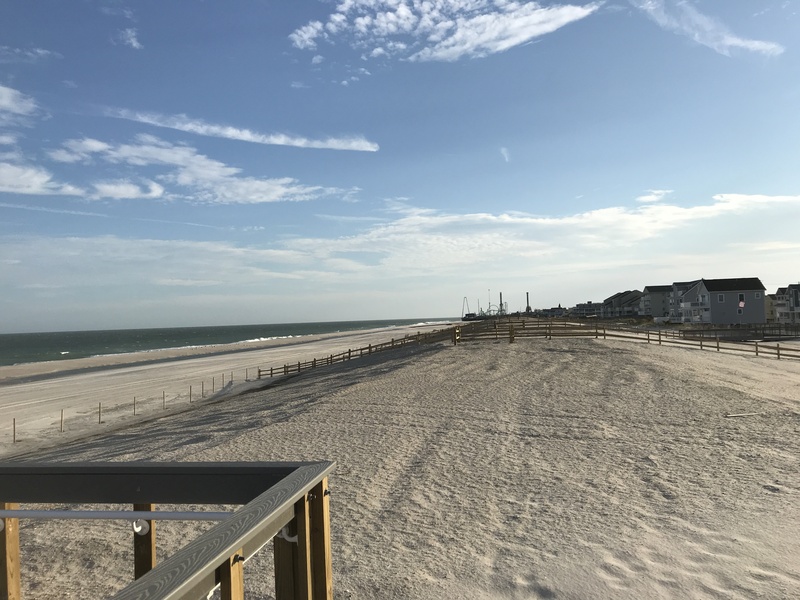 Replenishment work in Seaside Park is also on hold since the CR McCaskill is performing another job in New York. It is expected to move back to New Jersey during the first week of November. 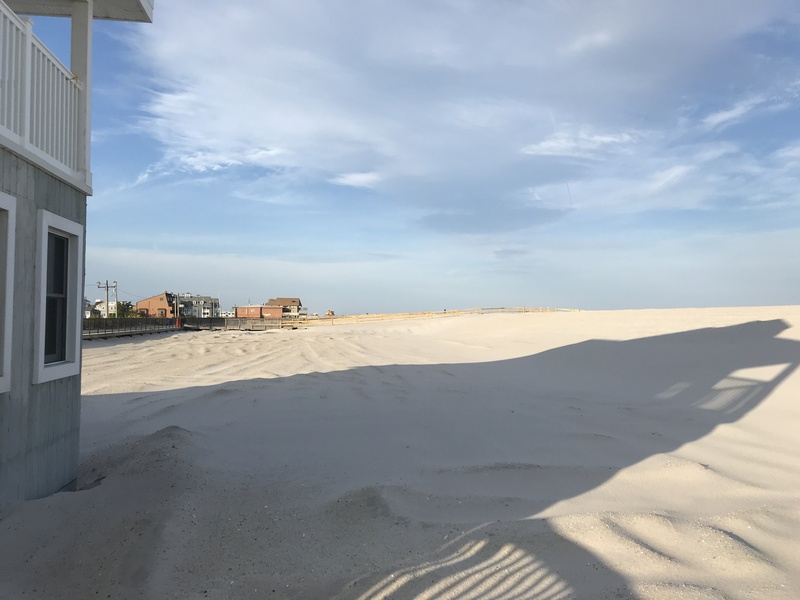 Replenishment projects in Toms River’s north beach portion are proceeding as well as in the northern half of Mantoloking.